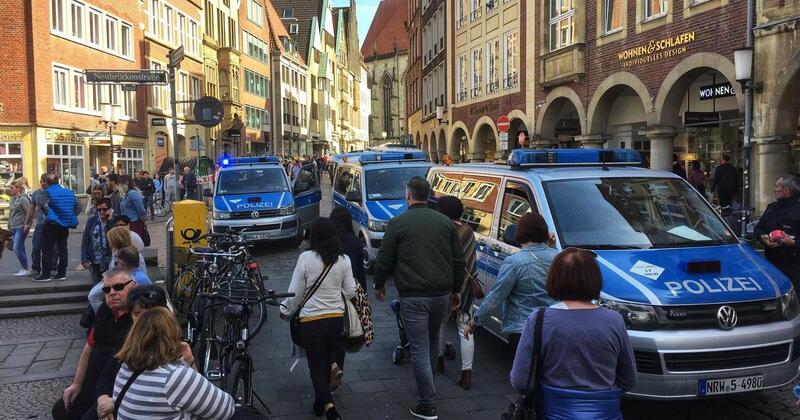 BERLIN — Police in the western German city of Muenster say a vehicle has crashed into a crowd there, killing several people and injuring others. The spokesperson for the local police in Muenster said a minivan crashed into a group of people in the city center. Around 30 people are injured and six are in a critical condition, and there are several fatalities. The driver shot and killed himself immediately after crashing into the crowd, according to the spokesperson. Police tweeted Saturday afternoon that residents should “avoid the area near the Kiepenkerl pub” where a large-scale police operation is underway. Kiepenkerl is a popular bar in the city’s historic downtown area. It wasn’t immediately clear if the incident was terror related. According to the online edition of the Spiegel magazine, German authorities were “assuming” the incident was an attack, although there was no immediate, official confirmation of a motive, the AFP reports. Police also urged people not to spread “speculation” about the incident. 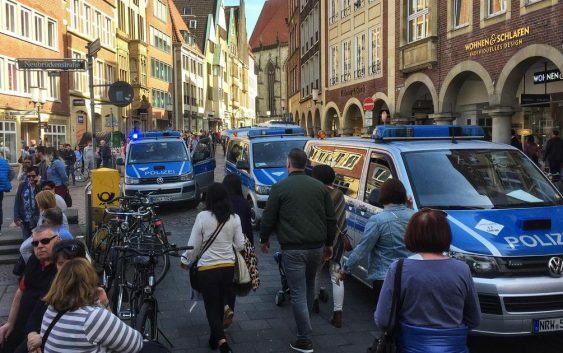 A spokeswoman for German Chancellor Angela Merkel said “our thoughts are with the victims and their families” who were killed and injured when a vehicle crashed into a crowd in the western German city of Muenster. Images on German TV showed police and fire vehicles clustered around a street in the center of the city. Germany has experienced a number of terror attacks in recent years, including through the use of vehicles. In December 2016, a truck plowed into a crowd at Christmas market in Berlin, killing 12 people. Will Blake Farenthold reimburse taxpayers for $84K harassment settlement?